May 24th, 2012 by Big Fish Games in Editorial. 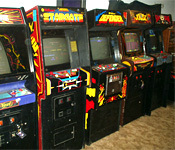 Many of us got our start in gaming at the local arcade circa the 1970s or 1980s. For just $0.25 we could pilot a starfighter, battle space aliens, or command an artillery battery. These games were simple with, by today’s standards, amateur artwork and simple, straightforward gameplay. But they were as addictive then as computer games are now. Computer gaming has evolved at an amazing rate over the past 30 years. 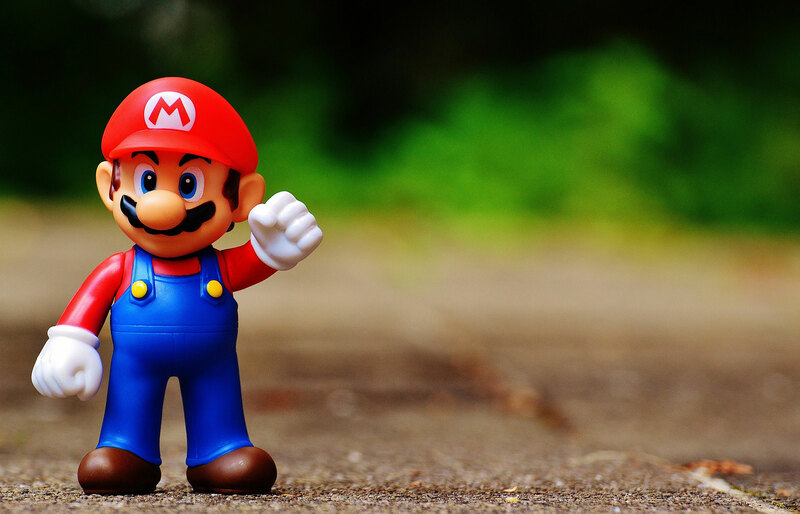 Today, we take a look back at video games of the 1970s. The advancements made during this time are viewed by many as that which laid the foundation for the “Golden Age of Video Games” that spanned the early 1980s. We’ve uncovered some great photos of the classic arcade cabinets as well as some very interesting trivia about some of the games. Did you know Apple co-founders Steve Jobs and Steve Wozniak were partially responsible for the development of the Brick Buster game genre? For some of us who were lucky enough to live through this era, just seeing the arcade cabinets below brings back a wave of nostalgia and loads of great memories. Enjoy! Computer Space is generally accepted as the world’s first commercially sold coin-operated video game. Game designers Nolan Bushnell and Ted Dabney would later found Atari, Inc. Computer Space uses no microprocessor, RAM or ROM with the entire system being a state machine. Although not the first video game created, Pong is cited as the first commercially successful video game. Originally, Pong was created as a training exercise, but, upon seeing the final product, Atari chose to manufacture the game. Tank is best known for being the first arcade game to using IC-based Read-Only Memory (ROM) microchips. The game was so popular, it prompted Atari to make known it’s “secret” ownership of Kee Games. In what amounts to one of the first video game Easter Eggs, Anti-Aircraft features an undocumented option to switch enemy planes into UFOs. Considered the inspiration for Atari’s Air-Sea Battle released two years later. With the idea of turning Pong into a single player game, Breakout was assigned to Steve Jobs. However, the game was actually created by fellow Apple founder, Steve Wozniak in four days time. The game could be launched as an Easter Egg on the original iPod by holding down the center button for a few seconds while in the “About” menu. Inspired by the 1975 cult film Death Race 2000 (starring David Carradine and Sylvester Stallone) Death Race featured a steering wheel and an acceleration pedal. The nature of the game – running down “gremlins” that resembled stick people – and the working title, Pedestrian, touched off a media avalanche of controversy. Considered the most influential video game of all time, Space Invaders caused a temporary shortage of 100-yen coins in Japan. Game designer, Nishikado, drew inspiration from Breakout, The War of the Worlds, and Star Wars. Attempting to expand on the success of Space Invaders, Galaxian set new standards for game design as it featured multi-colored animated sprites and explosions, custom score and high score font colors, improved background and theme music, and a scrolling starfield, and graphic icons. If the player landed at exactly the right spot, a McDonalds restaurant appeared. The astronaut would leave the lander, walk to the McDonalds, and order a Big Mac, before walking back to the Lander and taking off again. If players crashed directly into the McDonalds, the game displayed a message reading “You clod. You’ve destroyed the only McDonald’s on the Moon.” The vector-graphics generator used by Lunar Lander was the inspiration for Asteroids. An Asteroids unit appears in the following movies: ‘Fast Times at Ridgemont High’ (1982), ‘WarGames’ (1983), ‘Terms of Endearment’ (1983), ‘Joysticks’ (1983), ‘Night of the Comet’ (1984), ‘The Iceman’ (1984), ‘Remo Williams – The Adventure Begins’ (1985), and ‘The Adventures of Bob & Doug McKenzie – Strange Brew’ (1983).